Something caught my eye recently when I was reading a video script. Crawling insects that look like little alligators are actually the offspring of ladybird beetles. I thought nothing of this the first time I read the script by some colleagues in Bangladesh. But the second time I read it, it occurred to me how strange this was, comparing a common, garden insect with an alligator, an animal not found in Bangladesh and which few people have seen. Years ago, colleagues in Honduras used the same alligator analogy to familiarize farmers with the red and black ladybird larvae, which eat aphids in vegetable gardens. 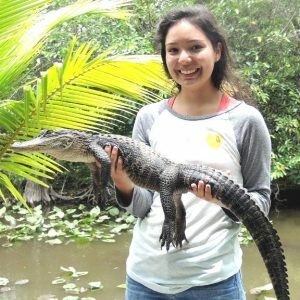 The Honduran farmers knew what alligators looked like, even if they had never seen the reptiles in real life, and the analogy worked. There are no alligators in Bangladesh, but I’m sure that the analogy will work, for a couple of reasons. First, humans are inherently interested in large vertebrates. Even children that grow up in big cities know the names of African wildlife before they can name the electrical appliances in their own home. Second, the increasing reach of mass media has made animals familiar to people who don’t see them in the wild. I remember years ago, sitting with an elderly Portuguese farmer engrossed in a TV show about walruses. She had never been to the Arctic, but was fascinated by the strange creatures. Today Animal Planet, the Discovery Channel and others have regular programming in Bengali, Portuguese, Spanish and other major languages, bringing large (and often threatened) species into our homes. So smallholders in the tropics watch TV, engage with images of large, strange animals, which then become common knowledge, while the creatures running around in one’s own garden need some explaining. So you can indeed tell a rural audience that ladybird larvae look like alligators. Oddly enough, the analogy works. And analogies really do help to make the strange seem familiar. Ladybird larvae lack the powerful tail and the long head of alligators. 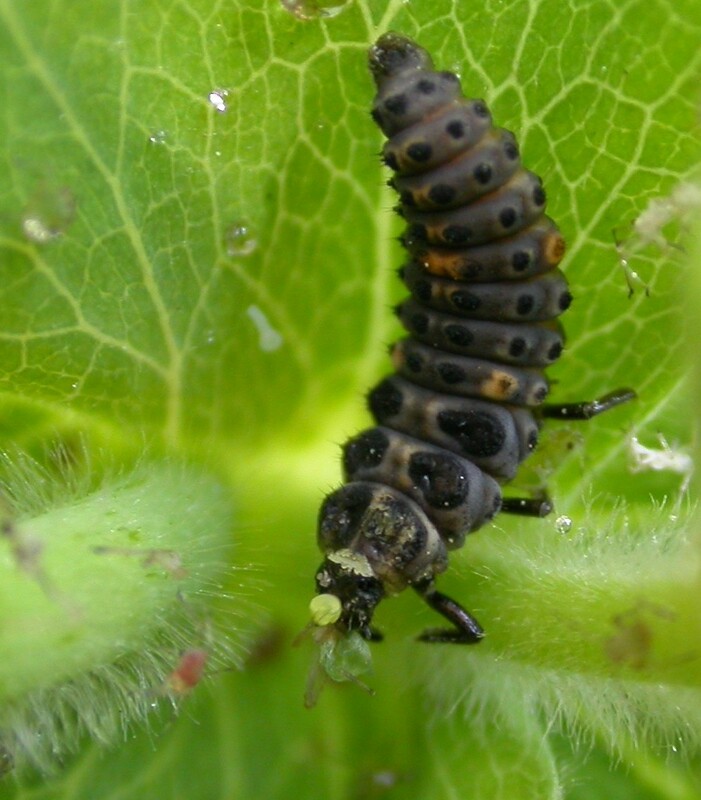 But like the alligator, ladybird larvae do have a long body and small legs. When all is said and done, ladybird larvae do look a bit more like alligators that like their parents, the shiny, round ladybird beetles. In the 1500s, when men on sailing ships were casually spreading crop plants from one continent to the next, maize came to Africa. Fortunately many of the maize pests stayed behind, in the Americas. But slowly, trade and travel are re-uniting maize with its pests. A caterpillar called the fall armyworm is the latest American pest to reach Africa, and in two years it has spread across the continent, threatening one of Africa’s staple food crops. Just as maize originally came to Africa without its American pests, the fall armyworm arrived without its natural enemies, including a couple of dozen species of tiny parasitic wasps. This has helped the armyworm to spread faster. Governments panicked over the arrival of the fall armyworm. Some tried massive campaigns to eradicate it manually, as in Rwanda, where large teams of people destroyed the caterpillars by hand. Others began widespread campaigns to spray farmers’ fields with insecticide. Fortunately, there are alternatives to insecticides, as explained in two new videos, directed by Paul Van Mele and beautifully filmed by Marcella Vrolijks, both of AgroInsight. 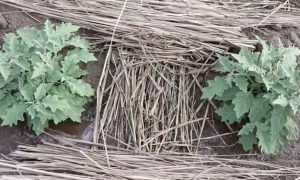 The videos explain that fall armyworm damage often looks worse than it really is. The caterpillars eat gaping holes in the maize leaves and defecate what looks like wet sawdust all over the plants. But the plants usually recover and produce a full ear, in spite of early damage to the young plant. 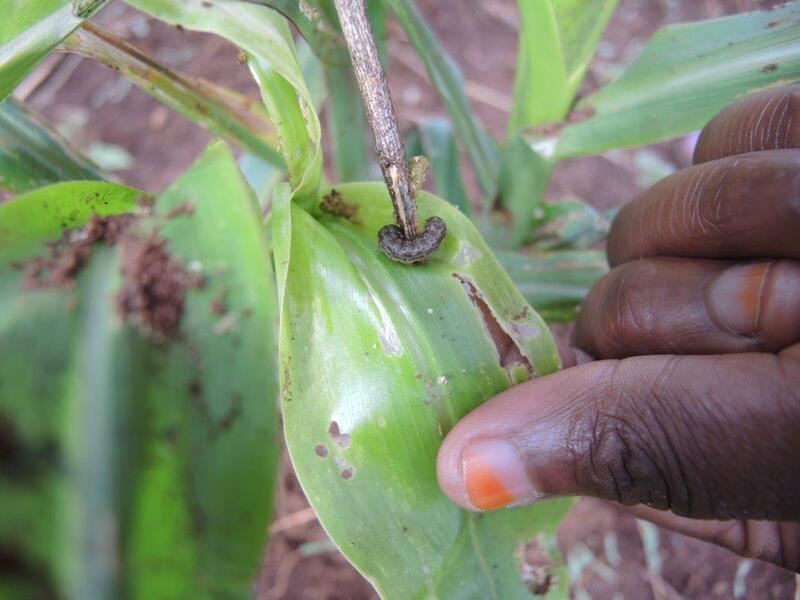 Conveniently for farmers, the fall armyworm is also a cannibal. Each one lives alone in the maize whorl and eats any smaller armyworm that comes in. 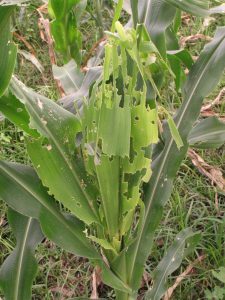 So a maize plant rarely has to suffer more than one armyworm at a time. Although the armyworm left its specialized natural enemies behind, once it arrived in Africa it met with generalist, native predators like ants, earwigs, ladybird beetles and other beneficial insects that soon began to attack and eat the caterpillars. 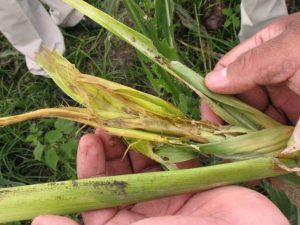 The FAO (the UN’s Food and Agricultural Organization) organized farmer field schools to teach farmers armyworm ecology and control. Farmers who took these schools were soon using techniques from Latin America, such as applying soil to the maize whorls. 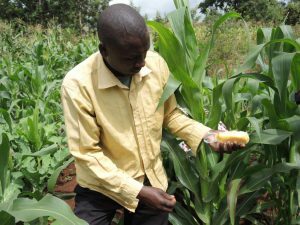 But farmers in Kenya also created innovations of their own, such as rubbing cooking grease onto the maize plant to attract ants to kill armyworms, and sprinkling fine sand mixed with tobacco snuff into the maize whorls. Farmer field schools are an excellent way to teach insect ecology, but field schools only reach a small percentage of the farmers who need the new information. Fortunately, the farmers who have not been able to take field schools will be able to learn from those who have, by watching the fall armyworm videos, which are available for free in English, French, Amharic, Kiswahili and Ki-Embu, with Arabic, Portuguese and Spanish versions coming soon. More translations will help to spread the word about non-chemical control of fall armyworm. Poisot, Anne-Sophie, Allan Hruska, Marjon Fredrix, and Koko Nzeza 2018 Integrated management of the Fall Armyworm on maize: A guide for Farmer Field Schools in Africa. FAO. Andrews, Keith L. and José Rutilio Quezada 1989 Manejo Integrado de Plagas Insectiles en la Agricultura: Estado Actual y Futuro. 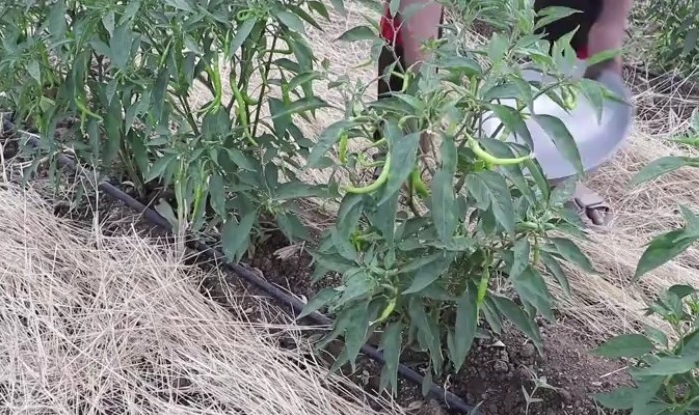 El Zamorano, Honduras: Departamento de Protección Vegetal, Escuela Agrícola Panamericana. The videos on fall armyworm are developed in collaboration with the Food and Agriculture Organization of the United Nations (FAO) with funding from the McKnight Foundation’s Collaborative Crop Research Program (CCRP). The scientific name of the fall armyworm is Spodoptera frugiperda (Lepidoptera: Noctuidae). Everybody working in agriculture knows something about mulching, which can lead us to think that we know all about it. But mulching is a surprisingly complex topic, as I recently realised while following a video from start to finish. For example, different crops may require different types of mulch, and some mulches are better avoided under certain conditions. As with other farming techniques, to make a video on mulch, manuals are often inadequate; one needs to rely on the experience of farmers. 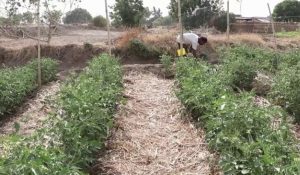 We started preparing for the video on mulch during a workshop in Pune, India, in February 2017, where Jeff and I had trained a number of local partners to write fact sheets and video scripts for farmers (read an account on this workshop in: Nourishing a fertile imagination). One of the scripts was on mulch. When I revisit the first draft of that script it is striking how generic our early ideas were. Among other things, the script mentioned: “Mulch allows more earthworms and other living things to grow by providing shade. The earthworms make the soil fertile and dig small tunnels that allow the water to go more easily into the soil.” That is all well and good, but that first script was a little light on how to go about mulching, although it had an idea of using dry straw. 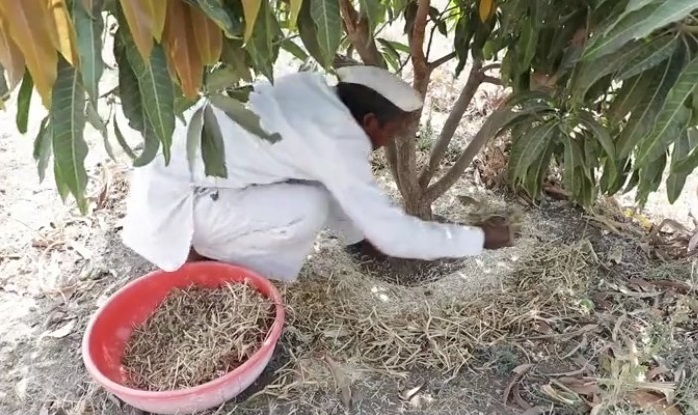 More than a year (and 10 versions of the script) later, cameraman Atul Pagar from Pune, India, finished his video “Mulch for a better soil and crop”. For the past two years, Atul has been steadily producing quality farmer-to-farmer training videos, such as on the use of herbal medicine in animal health. Each of the videos is a testimony of the richness of local knowledge and practices. 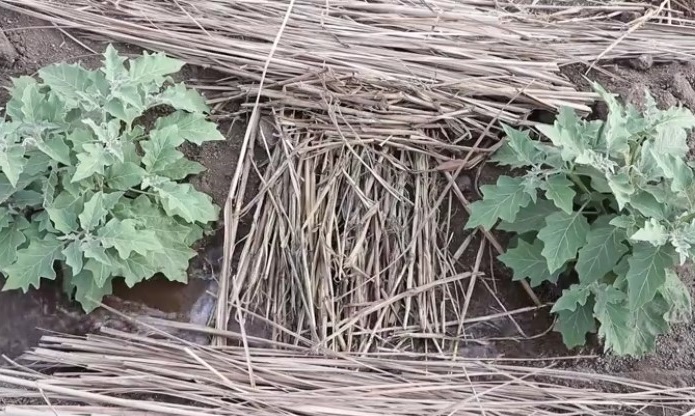 For instance, the final version of the video mentions that fruits and vegetables like cauliflower, watermelon and others that grow close to the ground are best mulched with dry straw and sugarcane trash or other crop residue in between every row. In less than 12 minutes, the nicely crafted video also explains what to consider when mulching fruit trees, how to fertilise your mulched crop with liquid organic fertiliser, how to control rats that may hide in mulch, and what the pitfalls are of using plastic mulch. None of these ideas were in the first draft of the video script. The script had been improved over the intervening months by discussing the ideas with farmers and other experts. 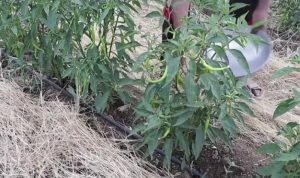 Although I had read quite a bit about mulching, a lot of the information in the video was new to me. Farming is intricate. To produce good training videos for farmers requires people who have a keen eye, an open mind and the patience to learn from farmers. Atul has all of these. You can find his videos on the Access Agriculture video platform. It is unfortunate that not more is done to safeguard and value traditional knowledge. In Pune, Maharastra, the Indian NGO Anthra has devoted a great part of its energy in documenting traditional animal health knowledge and practices across India. Dr. Nitya Ghotge along with a team of women veterinarians founded Anthra in 1992 to address the problems faced by communities who reared animals, particularly peasants, pastoralists, adivasis (indigenous peoples of South Asia), dalits (formerly known as untouchables – people outside the caste system), women and others who remained hidden from the gaze of mainstream development. 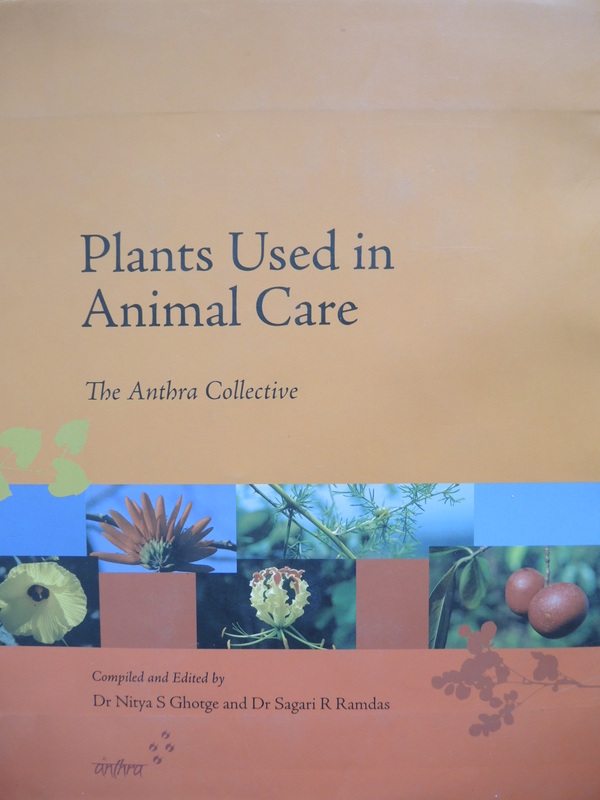 In their encyclopaedia Plants Used in Animal Care, Anthra has compiled an impressive list of plants used for veterinary purposes and fodder. 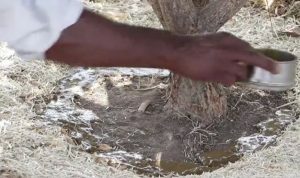 To ensure that local communities across the global south benefit from this indigenous knowledge, Anthra started collaborating with one of Access Agriculture’s trained video partners (Atul Pagar) to gradually develop a series of farmer-to-farmer training videos on herbal medicines (see: the Access Agriculture video category on animal health). While Indian cities are booming and the agro-industry continues its efforts to conquer lucrative markets, many farmers and farmer organisations across the country treasure India’s rich cultural and agricultural heritage. Unfortunately, this is not the case everywhere. 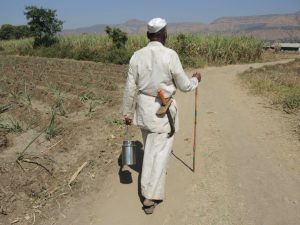 In many countries, local knowledge is quickly eroding as the older generation of farmers and pastoralists disappear. A few years ago, I was thrilled to work with traditional Fulani herders in Nigeria, only to discover that none of them still made use of herbal medicines. Even to treat something as simple as ticks, the young herders confidently turned to veterinary drugs. 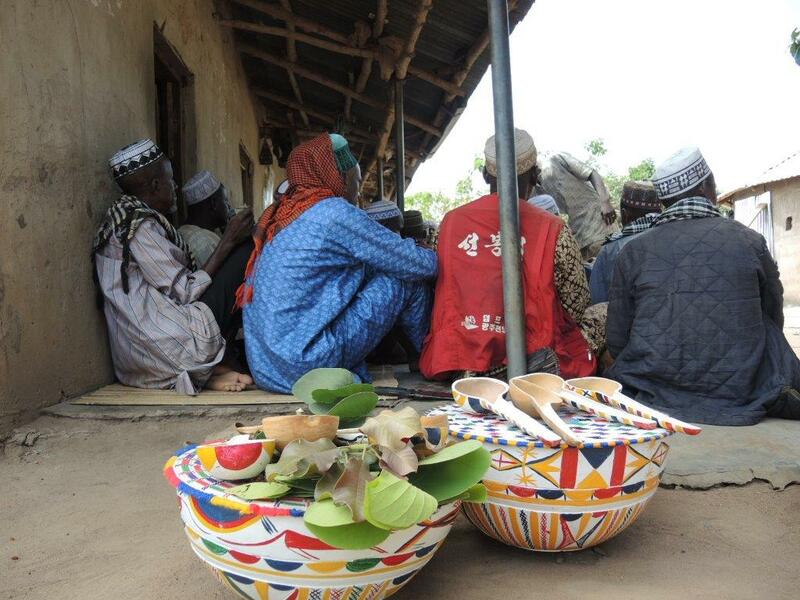 Although the elder people could still readily name the various plants they used to treat various common animal diseases, the accessibility and ease of application of modern drugs meant that none of the herders still used herbal medicines. The risks of such drastic changes quickly became apparent. As we were making a series of training videos on quality milk, which should have no antibiotics or drug residues, we visited a hospital to interview a local doctor. “If people are well they are not supposed to take antibiotics. If such a person is sick in the future and the sickness requires the use of antibiotics, it would be difficult to cure because such drugs will not work. It can even make the illness more severe,” doctor Periola Amidu Akintayo from the local hospital confided in front of the camera. Later on, we visited a traditional Fulani cattle market. For years, these markets have been bustling places where the semi-nomadic herders meet buyers from towns. People exchange news on latest events and the weather, but above all assess the quality of the animals and negotiate prices. Animals that look unhealthy or have signs of parasites obviously fetch a lower price. 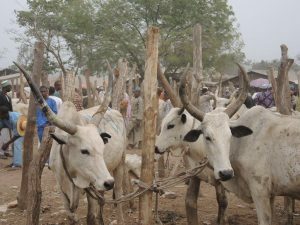 Given that the cattle market is where the Fulani herders meet their fellow herders and clients, I quickly realized why the entire market was surrounded by small agro vet shops. Competition was fierce, and demand for animal drugs was high. Modern drugs come with an enclosed instruction sheet, but as with pesticides nobody in developing countries reads this advice. To keep costs down, many herders and farmers administer drugs to their own animals, to avoid spending money on a veterinary doctor. Perhaps even more worrying: few people are aware of the risks that modern drugs pose to human health, whether it be from developing resistance to antibiotics or drug residues in food. In organisations like Anthra, socially engaged veterinary doctors merge local knowledge with scientific information, thus playing an undervalued role that deserve more attention. The training videos made with these veterinarians and their farmer allies will hopefully show more people that it is important to bring the best of both worlds together. Some battles are harder to win than others. Last year farmers in much of Africa were faced for the first time with a new species of armyworm and saw their maize crops attacked. The fall armyworm had come from Latin America and was unknown to farmers, extension workers and governments. Responses across the continent differed, but quite some governments attempted to stem the tide of fall armyworms with pesticides. 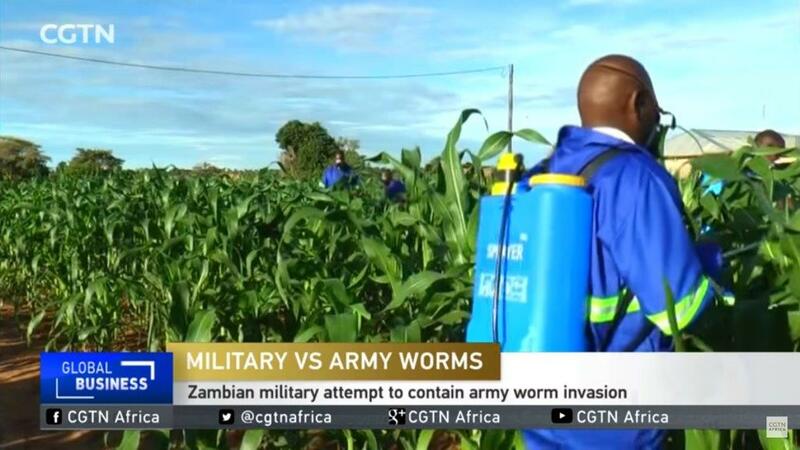 In Zambia, the government used the army, deploying soldiers across the country to spray farmers’ maize fields. But the pest is not easily killed by pesticides and the worry is that this approach will cause more harm than good. The fall armyworm begins life as a caterpillar before becomimg an adult moth. The moth is nocturnal and lives for about two weeks during which it lays its eggs in batches of 100-300 tiny eggs. 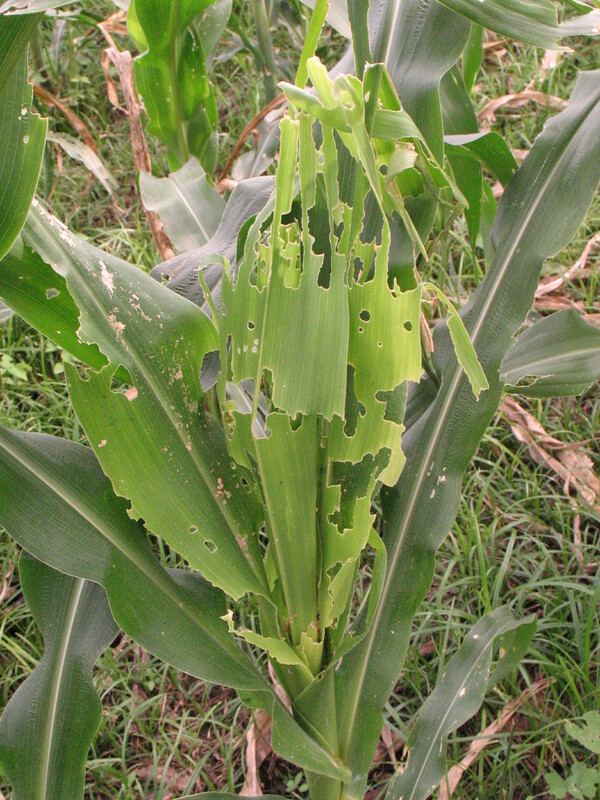 The small, whitish fluffy spots are mostly found on the underside of maize leaves. When the tiny caterpillars emerge en masse they look like an army, ready to invade the plant. Some armyworms drop off the leaves, hanging on a fragile thread and then carried by the wind to attack neighbouring maize plants. After feeding just a few days on the surface of leaves, the young armyworms hide inside the leaf whorl of young plants. On mature maize plants they tunnel through the husk and chew on soft maize kernels. Either way, the armyworms are protected from pesticide sprays. Last week, Marcella and I were in Embu County in Kenya, making two farmer training videos on how best to manage the fall armyworm. I was particularly curious to find out if farmers had come up with their own solutions. After all, they have not had a lot of time to experiment. But necessity is the mother of invention, and when livelihoods are at stake farmers can be quick and inventive in finding effective ways to manage damaging pests. John with his wife and young son now go to their field when the maize is just a few weeks old. 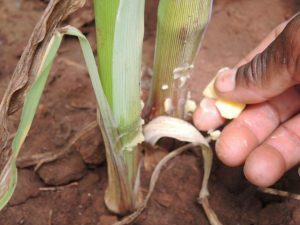 With their fingers they smear a little bit of solid cooking fat to the base of the maize stalk. With a small pack of cooking fat, they can easily cover half a hectare. “In no time, the tiny black ants will come to feed on the oil and while they are on the maize they also find any armyworms. Even when we cannot see the tiny caterpillars inside the whorl, the ants will find and kill them,” John says with a satisfying smile. When the maize plant starts to develop maize ears, John and his wife repeat the treatment, smearing the fat at the base of the stalk and one metre high on the stalk. Neighbours who had sprayed pesticides in vain found it difficult to believe that John’s innovation would work. But as they have seen the results of using cooking fat with their own eyes all have started to copy John’s method. With the videos we hope that examples of innovative farmers like John will inspire farmers and governments across Africa to try out low-cost and simple methods. In agriculture, armies of ants can do the job of national armies for free – and without the costly and damaging effects of spraying pesticides.